She was speaking at the first meeting of the China Pakistan Economic Corridor, Political Parties Joint Consultation Mechanism on Tuesday. Celebrating the close bond between her party and China, Rehman added “Both Pakistan and the PPP hold the Peoples Republic of China as our iron brothers from the 1950’s from the days of Zulfiqar Ali Bhutto who was the last leader to see Chairman Mao before his death. For the PPP, CPEC is our project. 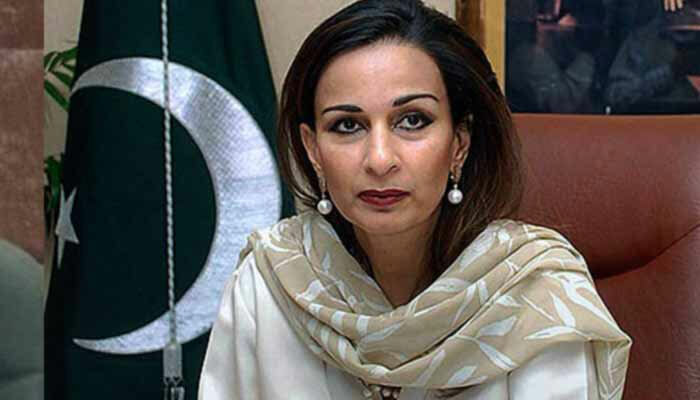 She expressed hope that China would see the PPP as key stakeholders in making CPEC work for the people of Pakistan as it is a party that is invested totally in the multisectoral outcome of jobs, growth, energy provision and regional stability that CPEC brings. Highlighting the importance of working alongside China, the Senator stated, “Learning from China will be crucial to deepening the skill base of our people, one million of which enter the job market every year. China boasts a digital economy of $3.8 billion. We will be using the digital platforms for connectivity, jobs, development, marketing and communication”. Other participants included Foreign Minister Shah Mehmood Qureshi (PTI), Qasim Suri (PTI), Mushahid Hussain (PML-N), Amanullah Khan (Governor Baluchistan), Jan Muhammad (National Party), Nasrullah Khan Barach (PKMAP), Omar Ahmadzai (BAP), Mehmood Ahmad (JUI-F), Shagufta Malik (ANP) and Muhammad Akbar (BNP-M).